Backed by the big money of Beretta Defense Technologies, Burris has completely turned things around in the last year. 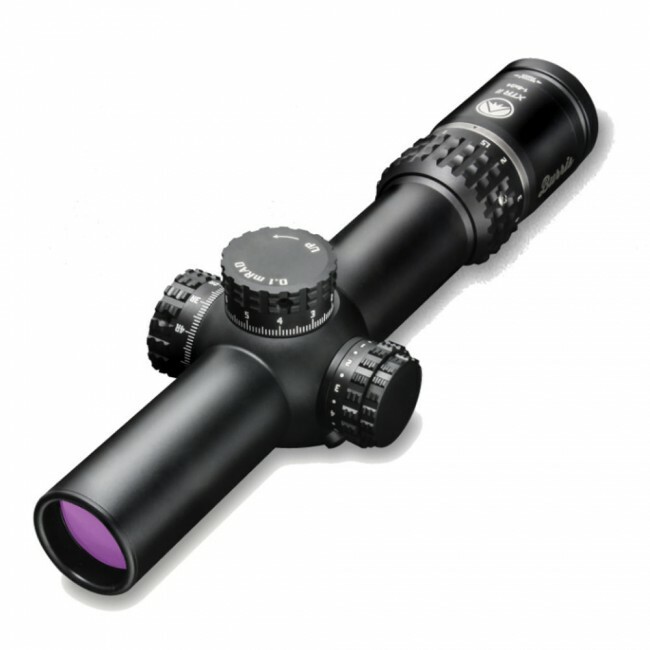 The latest exciting new series of scopes from the folks in Colorado are the new XTR II series. Incorporating a multitude of features that today's shooters and competitors want, these highly anticipated scopes promise to deliver the goods with a price tag that makes sense in today's economic reality. 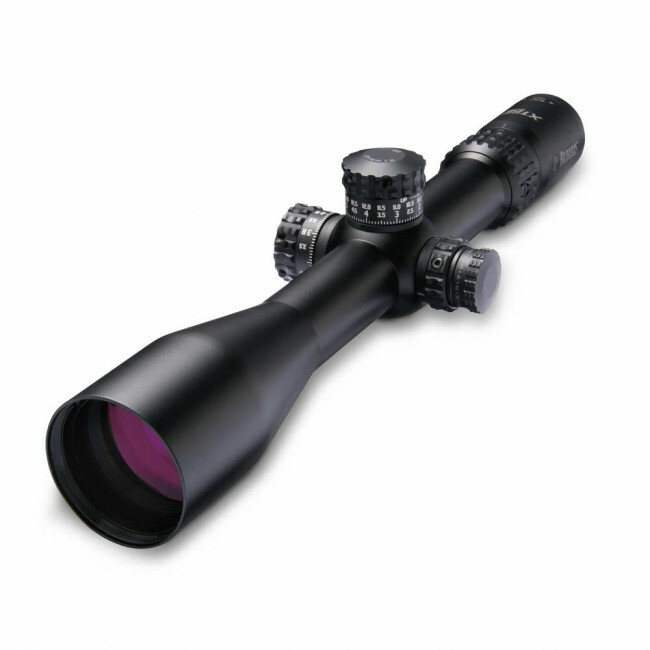 Check out these new scopes and contact us with any questions. Special opportunity on these state of the art laserscopes from Burris!! Eye Relief: 3.5 – 4 in. Mounting Rail Length: 8.5 in. Super versatile zoom range in a 50mm objective scope!! 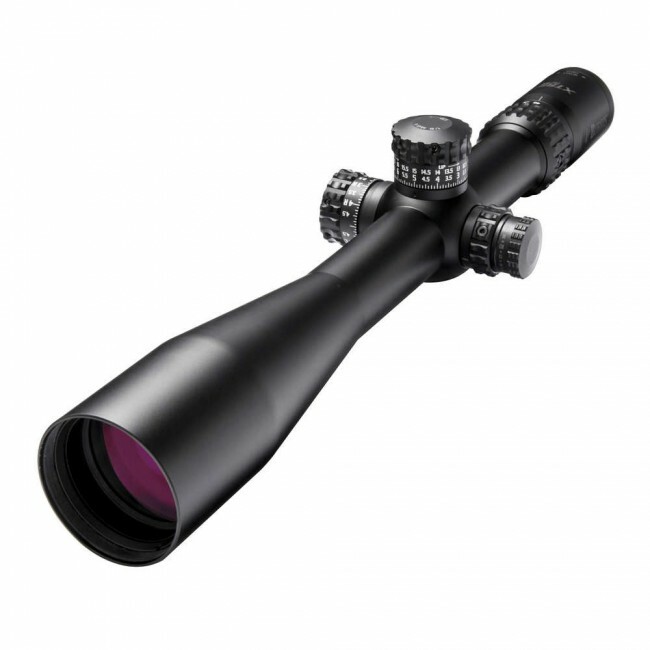 XTR II 8-40X50MM (34MM) RIFLESCOPE – F-CLASS MOA ILLUMINATED RETICLE, FRONT FOCAL PLANE MATTE In stock 12/1/16 SALE!!! Perhaps the ultimate F-Class scope at a price that makes this a superior value!! Check out that reticle!! F-Class competitors and other long-distance shooting enthusiasts will dominate targets with the high contrast, ultra-fine, and versatile F-Class MOA reticle. The only reticle of its kind to feature multiple illuminated center dots, the Front Focal Plane reticle keeps the 1/2 MOA grid design accurate at any magnification. A second 20 MOA offset 1/2 MOA grid allow shooters to obtain an extra 20 MOA of elevation beyond the capability of the turret adjustments and still have horizontal wind hold-off references. At each 10 MOA section you’ll find an ultra-fine crosshair with 1/8 MOA illuminated dot for maximum versatility. BUR201018 XTR II 1-8x24 FFP Ballistic Circle Dot Back in stock!! Our order from April has arrived! These are what's left after filling backorders. Low stock. 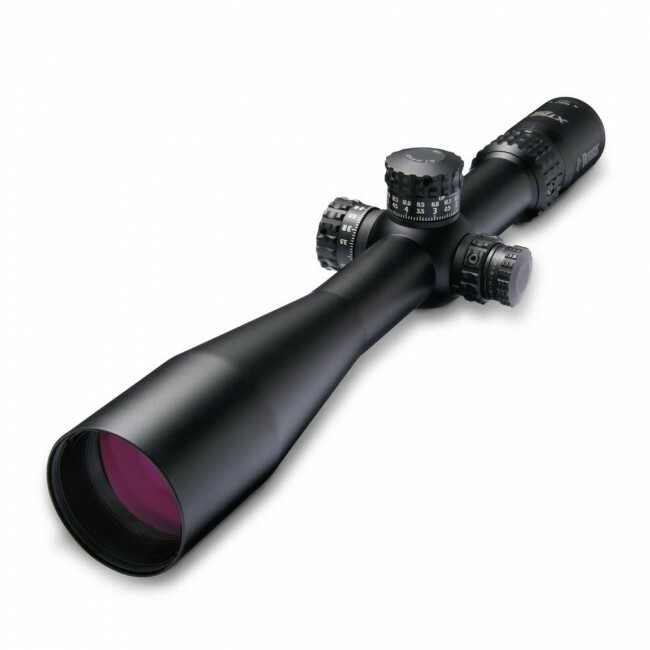 This is a great all around tactical riflescope!! The most reticle travel of any of the XTR II line! Competitive shooters and tactical operators prepare for serious state-of-the-art technology. XTR II riflescopes feature a five-times zoom system, 25% thicker tube construction, dimensionally-matched precision adjustment knobs, and Zero Click Stop technology. Superb, high-performance optics offer Hi-Lume® multi-coated lenses, optimizing target resolution, contrast, and low-light performance. All hand-fitted internal assemblies are triple-spring tensioned for absolute shock-proofing, even under severe recoil, and vibration resistant, even on extended vehicular patrols. True to brand principles, Burris XTR II scopes deliver far more than the modest-for-category price tags, and are protected forever with the Burris Unconditional Forever Warranty. 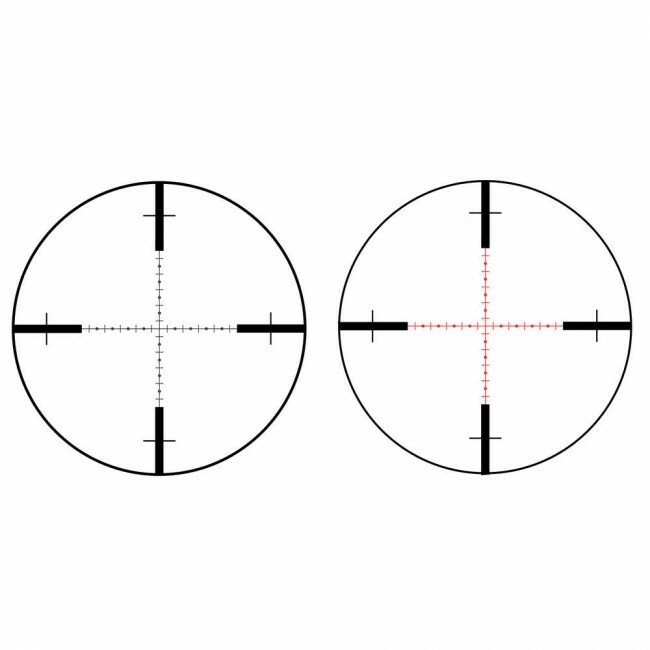 Dual Focal Plane (DFP) systems separate the center aiming point and crosshairs of the reticle, placing the center in the SFP and the crosshairs/circle in the FFP. This allows the center aiming point to remain a constant size, ensuring the circle and dot is large enough to be effective at low power for close quarter shooting. 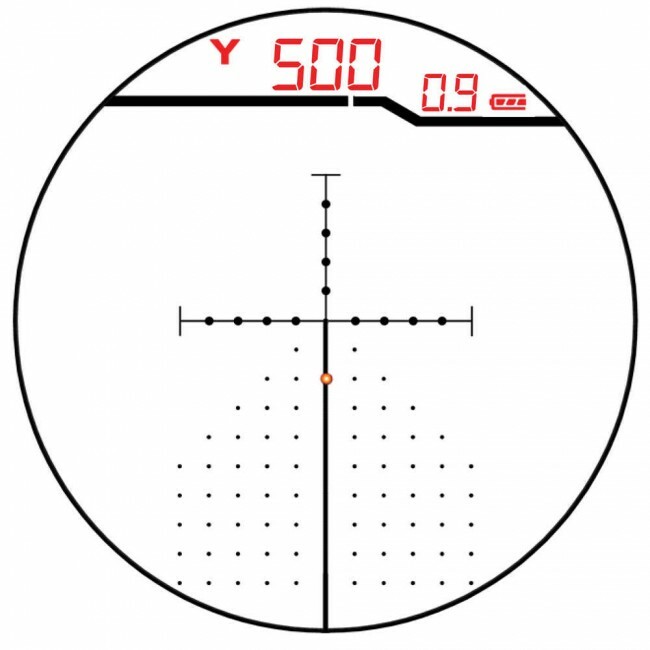 The crosshairs (which are in the FFP) change size with magnification, meaning the measurements are always correct and proportionate to the target for accurate ranging and trajectory compensation at any magnification. Since the two pieces of the reticle are acting independently, the pieces will overlap slightly at certain magnifications, but this will not prevent the shooter from using the reticle correctly. The XTR II Ballistic 5.56 Gen 3 reticle is a true daylight visible reticle that helps shooters achieve maximum accuracy with 5.56/.223 and 7.62/.308 ammunition. Available in either a Rear Focal Plane or Dual Focal Plane configuration, the illuminated “broken circle” allows for fast close-range acquisition while left and right mil hash marks aid in engaging difficult shots in crosswinds and at extended long ranges. 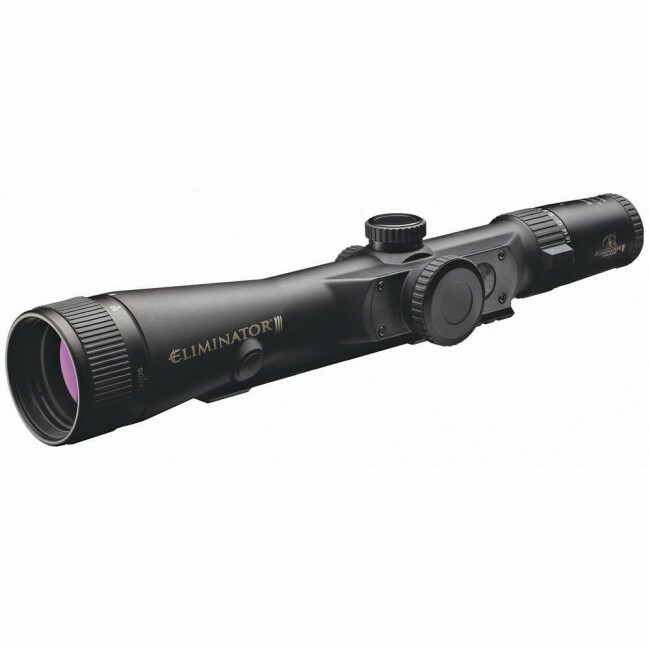 The Dual Focal Plane configuration allows the crosshairs to change size with magnification – ensuring the mil measurements and trajectory lines are accurate at any power – while the illuminated center remains a constant size so you can transition between short- and long-distance shooting with speed and ease. 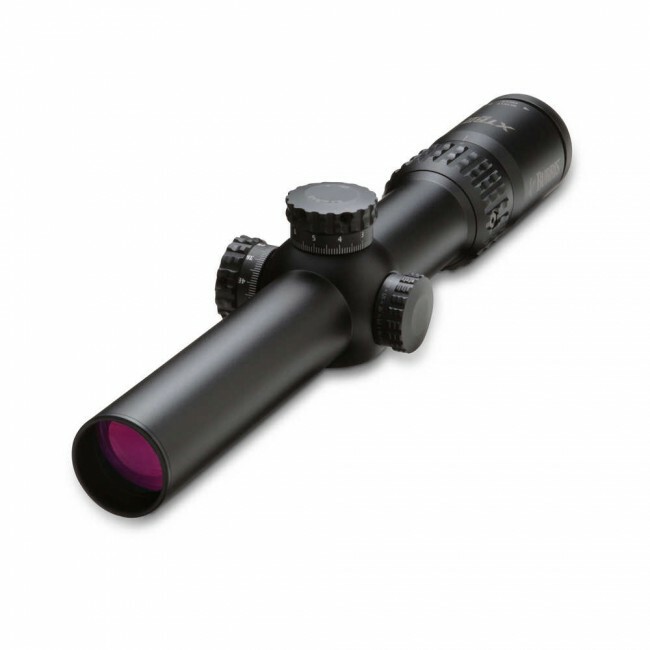 This configuration is incredibly versatile and makes your XTR II riflescope perfect for competition or duty patrol. Rear Focal Plane (RFP) systems (sometimes referred to as Second Focal Plane systems) place the reticle to the rear of the erector assembly or zoom mechanism. 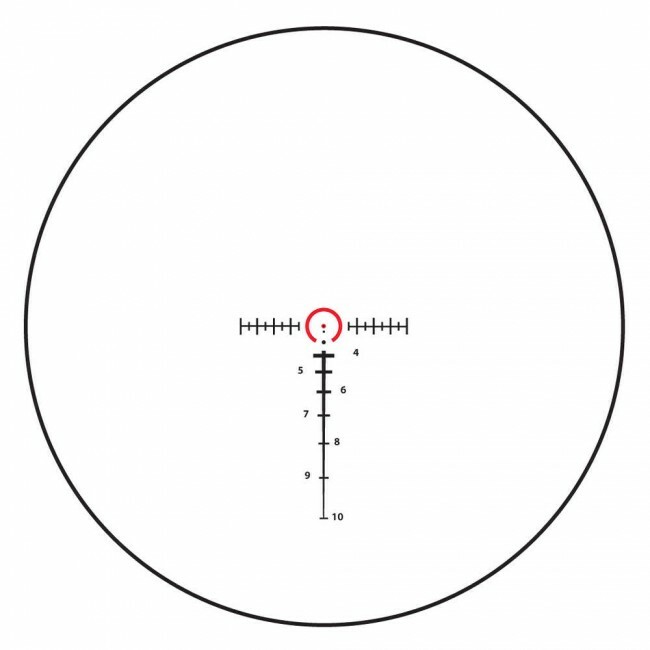 This is the most common reticle system and is found in most Burris optics. Because the reticle is behind the zoom mechanism, the size of the reticle is constant and does not change when magnification is adjusted. This will make the reticle appear to be consume more of the target on low power; on high power, the reticle will appear to consume less of the target, which is beneficial for long-range, precision shooting. Since the reticle size never changes on RFP systems, it is important to understand that the reticle measurements will only be correct on one specific power (normally high power). The XTR II Ballistic CQ Mil reticle also features mil measurements and an illuminated “broken circle” with center dot for ultra-fast engagement of targets at short distances. 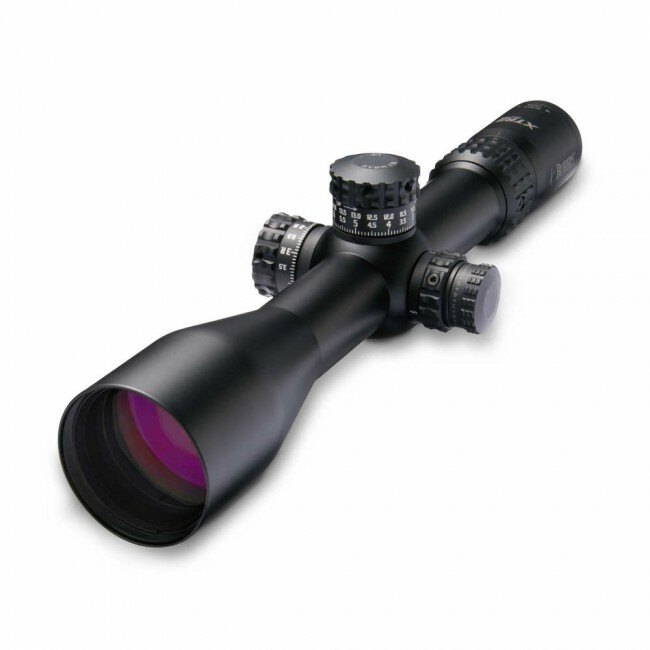 The Rear Focal Plane design keeps the reticle size consistent at every magnification. FFP Mil/Mil with the same reticle option as the Steiner military scopes! Front Focal Plane (FFP) systems (sometimes referred to as First Focal Plane systems) place the reticle in front of the erector assembly or zoom mechanism. This allows the reticle to change size as magnification is adjusted. In FFP systems, when magnification is increased, the reticle size grows; as magnification is lowered, the reticle size shrinks. Because the reticle is changing with magnification, the measurements of the reticle are always correct and proportional to the target no matter which power setting you may be on. This is very useful in tactical situations when reticles are used to determine size and distance to a target, and when using the reticle for trajectory compensation at multiple magnification settings. 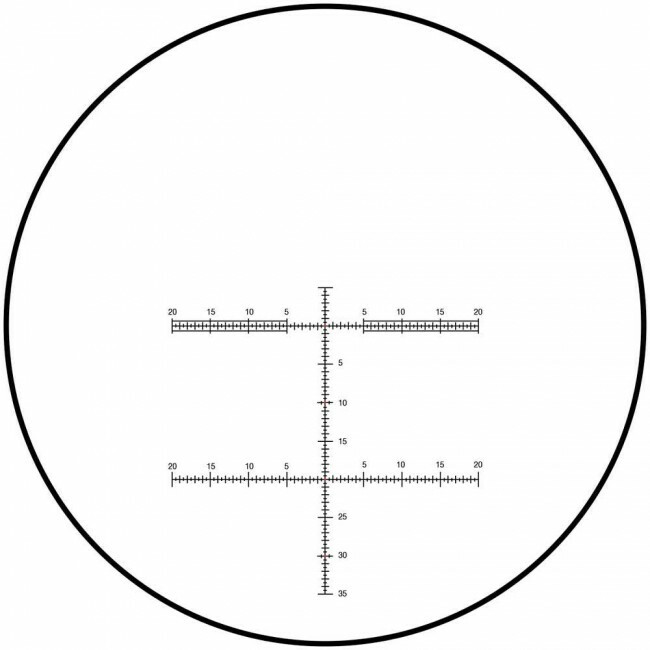 The G2B Mil-Dot is a mil-based reticle with hash marks in between the mil dots for more precise aiming, distance measurement, holdover and hold-off for wind. It is a versatile, combat proven reticle that is ideal for mid-to long-range tactical shooting.